I like the way it came out i think if he did do a brighter color on the scales it would have taken away from the model over all. I'd like to see something that transitions the beastie from the base. Right now he blends right in, it looks like it's all part of the model. 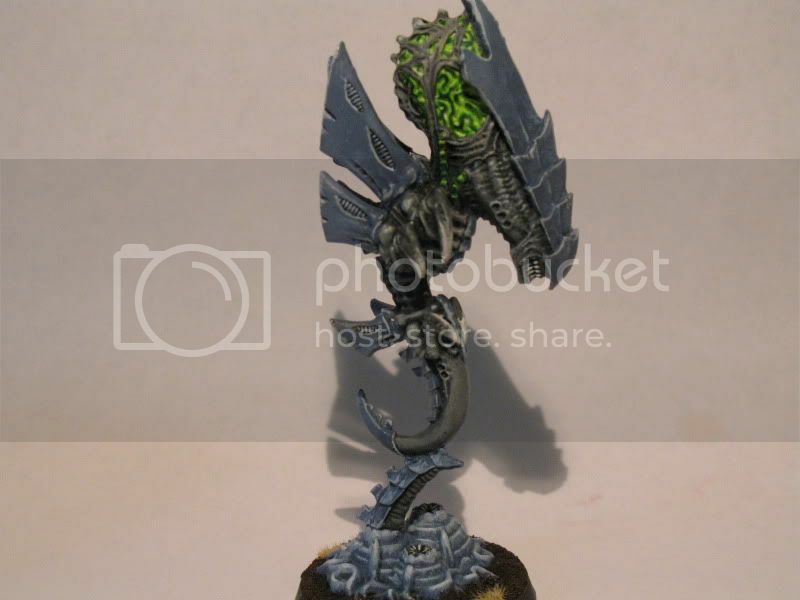 Here is your challenge: Paint the Shadow of the Warp on the base from the Zoanthrope! Zoanthrope -"I have a big head and little arms.... I don't think this plan was thought out very well." Last edited by Lakomasoi on Fri Apr 22, 2011 2:34 pm, edited 1 time in total. Pretty darn good Mr.Sir. Your black's very confident. Very yummy looking brains Jer, I love it!